Governments need big data programs to bring together information from multiple Situation Room sources, including national statistics of service delivery, logistics, and financial data. iVEDiX’s enabling technology brings a Situation Room to life and provides intuitive collaboration mechanisms. iVEDiX transforms raw data into a usable, unified, and interactive interface to allow policy-makers, community officers, and other data miners to observe the data in terms of progress, gaps, and other actionable information. Visualize patterns and trends more intuitively and act on them more meaningfully to improve sustainable development. Unprecedented capabilities to interact with vast amounts of untapped real-time and historical data by integrating with existing global data infrastructures. Set thresholds to trigger immediate alerts for global, regional, and facility-level organizations and monitor remote sensors across regions. 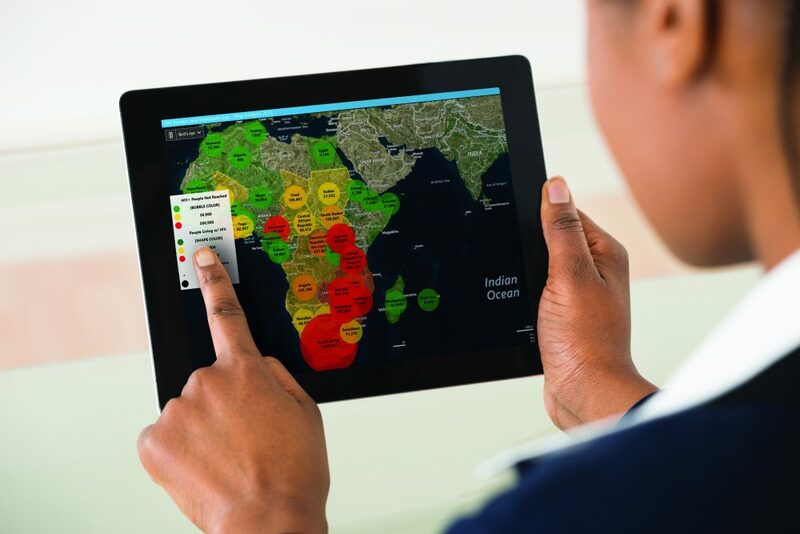 The Situation Room program brings together different datasets on health. The visual capabilities of the platform support Program Managers to do faster and easier data analysis, which strengthens programs and brings efficiencies in the right locations, at the right times.